Book clubs for children foster a love of reading, and these great children's book recommendations - along with activity ideas to go with them - will help get your children's book club off to a great start. 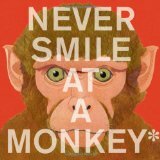 Never Smile at a Monkey: And 17 Other Important Things to Remember is a beautiful picture book that teaches educational lessons about rare types of animals. The lessons include "never pet a platypus" and "never jostle a jellyfish". The book teaches important lessons about how animals protect themselves in the wild. Activity idea: Visit a local petting zoo to get a closer look at "wild" animals. Talk about the different ways these animals can protect themselves. For example, the rabbit can run fast and the goat has horns. Mission Control, This is Apollo: The Story of the First Voyages to the Moon is a space exploration book geared towards children in grades 5-8. It will excite students with its unique illustrations of the Apollo moon missions. Activity idea: Take a trip to a local planetarium to get a first-hand look at the moon and the starts! Let's Do Nothing! is a funny book about two boys who decide they'll try to do nothing for ten seconds ... only to find their imaginations run away with them! Activity idea: Ask your book club for children members to try "doing nothing" for a minute. Once the minute is over, ask them what they imagined! Have fun by asking them to act out the stories they imagined. These three book clubs for children activity ideas will help get you started ... but your options are endless. No matter what book you decide to read, simply think of a fun, kid-friendly activity that ties into your theme. You'll see your kid's love of reading quickly take off!